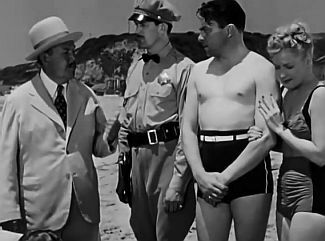 Set Decorations: Raymond Boltz, Jr.
Production Manager: William Callihan, Jr.
Cole King's variety troupe, along with press agent Rick Daniels and Mrs. Thorn, the wardrobe mistress, occupy a Malibu, California beach house. When Adelaide, a showgirl, criticizes Marcia, the overbearing star of the show and King's girlfriend, Marcia threatens to reveal that Adelaide is secretly married to physician George Brandt. She also hints that she knows Brandt's real identity. Marcia later forces showgirl Lois to steal letters from Adelaide's trunk, threatening to tell King that Lois is underage, having lied about her true age to get a job in the variety troupe. Marcia disappears later, and Lois' body is discovered by San Toy, a Chinese member of the troupe. Because Lois has been strangled, a murder technique said to be favored by the Chinese and the French, both San Toy and Adelaide are under immediate suspicion. To avoid the bad publicity that a murder would bring, Daniels suggests that Lois' death be made to appear as an accidental drowning. San Toy, who is a friend of Jimmy Chan, asks his father to investigate. Chan hurries to the scene, mistakenly thinking that San Toy, in the message that she had given his assistant Birmingham Brown, had said that Jimmy had been murdered. "Mistake sometimes bring most fortunate relief," says the relieved father as he learns that the message was misunderstood. During the course of the investigation, Birmingham, San Toy, and Jimmy are each attacked. Later, troupe member Clementine finds Marcia's body with a silken cord wrapped around her neck, apparently washed up on the beach. Chan later discovers Daniels in the act of burying Marcia's bathrobe. When Chan reveals that the cord from the robe was the one used in the murders, Daniels claims that the robe was planted on King to frame him. King then accuses Daniels of murdering the women and trying to hide the evidence. Privately, Chan reveals his knowledge that Brandt was once accused of his wife's murder. Although Brandt was exonerated, his career was ruined. He had gone to war and, while in Paris, had met and married Adelaide. It was at this time that Marcia had first met them. Brandt admits that he had found Lois' body and had removed personally damaging letters, but denies killing her. Chan decides to set a trap for the killer. That night, King confesses that he took a box from Brandt's suitcase that contained incriminating papers. Jimmy later finds the missing box in the furnace. He then sees someone trying to strangle San Toy and intervenes, inadvertently spoiling his father's trap. Chan, Jimmy, and Birmingham chase the attacker, who speeds away from the beach house in a car. During the high-speed car chase, the assailant, who is revealed to be Mrs. Thorn, crashes and is fatally injured. As she lies dying, Mrs. Thorn tells how she had deserted King, her husband, and when she wanted to return to him, he had humiliated her by offering her a job as his wardrobe mistress. She then killed the two women and tried to frame King in order to get revenge. 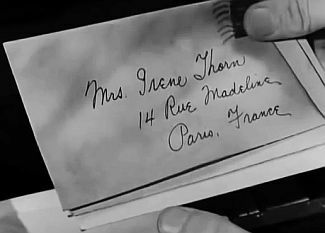 It was her letters that were in the box that King had stolen from Brandt. 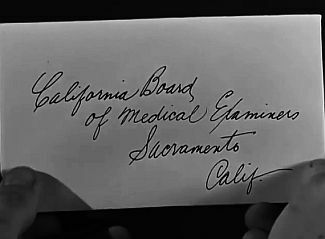 Later, Chan assures Brandt that the California Board of Medical Examiners will reinstate his license and he will now be free once again to practice medicine under his real name. NOTES: Working titles for The Trap were Murder in Malibu Beach and Charlie Chan in the Trap. This is one of two Chan films in the series proper to have been filmed in large measure on location, the other being The Black Camel (1931). The Trap marked the final film appearance for Sidney Toler, who died on February 12, 1947. Roland Winters assumed the role of Charlie Chan in the 1947 film The Chinese Ring. Mistake sometimes bring most fortunate relief. Obstructing justice is very serious crime. Best laid plans of mice and men sometimes go a little bit haywire. Puzzle always deepest near the center. Leisurely hunter have time to stalk prey, but hunter in haste must set trap. Levity is a great cure-all. THE OTHER CASE MENTIONED BY RICK DANIELS: The "March Case," which, as mentioned by Rick Daniels, was worked on by Charlie Chan whom he had met while he (Daniels) was working for the March Flour Mills. ACCORDING TO "DOC" BRANDT, THE TYPE OF KNOT THAT WAS USED BY THE MURDERER: "...a granny knot..."
ACCORDING TO "DOC" BRANDT, THE CONDITION OF THE VICTIM'S (MARCIA) THROAT: "...the trachea was flattened." ACCORDING TO "DOC" BRANDT, THE "PERIOD OF IMMERSION" (IN THE OCEAN) OF MARCIA'S BODY: "Ten to twelve hours." WHEN AND WHERE, ACCORDING TO CHARLIE CHAN, THAT "DOC" BRANDT HAD BEEN ACCUSED OF MURDERING HIS WIFE: "Six years ago  in New York City." cabana (cabaña) - (Spanish) (1) A shelter on a beach or at a swimming pool used as a bathhouse. (2) A cabin or hut. "Doc" Brandt: "...I was just in the cabana." chiseler - (1) One who cheats or swindles. (2) One who obtains by deception. Rick Daniels: "This kid Lois was a chiseler." clipped - (Slang) To have hit with a sharp blow. Jimmy Chan: Yeah, he clipped Birmingham." Jimmy Chan: "It's a dame, Sarge!" finger - (Slang) (1) To inform on or identify to the authorities. (2) To designate, especially as an intended victim. The Trap - Rick Daniels: "Then Chan caught me and the finger was on me." Rick Daniels: "I was trying to keep someone from being framed." garroted - The act of being strangulated in a manner reminiscent of the old Spanish method in which prisoners were executed, usually by the use of an iron collar. "Doc" Brandt: "She was garroted, a cord around her neck." in Dutch - (Slang) In disfavor or trouble. Jimmy Chan: "...I'm already in Dutch with Pop." prohibition days (prohibition era) - The period from 1920 to 1933 when the sale of alcoholic beverages was prohibited in the United States by a constitutional amendment. Charlie Chan: "Sliding panel is merely relic of old prohibition days." sarge - (Informal) Short for sergeant. Rick Daniels: "Let's get him out of here where we can give him the third degree." trachea - The airway that extends from the larynx into the thorax where it divides into the right and left bronchi. Also called windpipe. "Doc" Brandt: "...the trachea was flattened." zut - (French interjection) You be hanged! Confound it! Hang it! etc. Adelaide: Zut! We know her too well!" 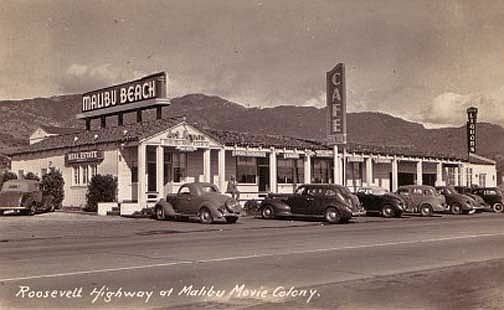 Located about 15 miles from the center of Los Angeles, Malibu was seen as a "colony" that attracted seasonal visitors as well as movie production companies. During late July and early August, Monogram Pictures filmed portions of The Trap in and around Malibu Beach. In late 1940, the entire Malibu Ranch property owned by May K. Rindge was put up for sale due to the financial pressures brought about by the Depression. A land company subdivided the property and sought buyers. Eventually, all of the land was sold to individuals, developers, farmers, or commercial interests. By 1946, nearly 80 percent of the property has been sold. 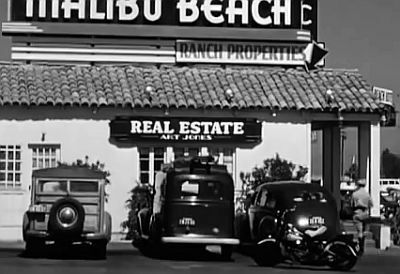 When The Trap was filmed, many land parcels were still available, and, if one looks closely, a sign reading "Real Estate" can be seen at the Malibu Inn in the initial scene of the movie (or in the postcard image seen below). This gradually changed as more parcels of land sold at premium prices and Malibu grew to become the wealthy beach community that it is today. 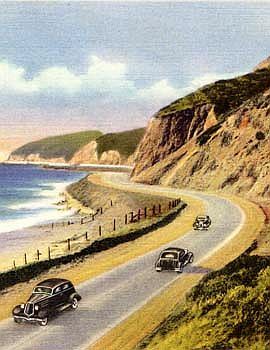 in this postcard from the 1940s and the film, attesting to the real estate "boom"
Malibu Coast, Roosevelt Highway, California."